Forget water, at this point, our bodies are 80% caffeine. We’re no strangers to a good brew or two, which is why we’re the pros when it comes to sourcing the best coffee Brisbane has to offer. 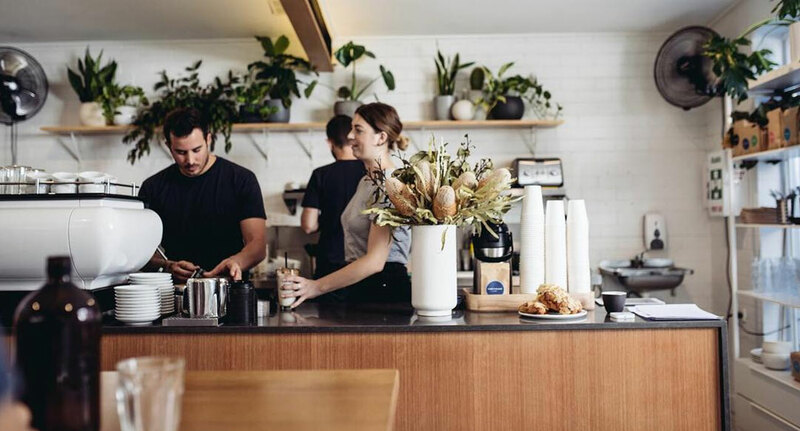 A good coffee shop should offer quality cups, satisfying eats and friendly service – and after much deliberation, testing and more testing (all in the name of science), we’ve discovered Brisbane’s best. Eden Lane’s chic coffee shop serves supremely good brews paired with tasty eats and fresh, fluffy banana bread. Even better, you can take home a bag of beans for yourself. If we had a penny for every time we stopped by Penny Coffee Co, we’d have a lot of pennies. With a focus on local ingredients and cozy vibes, you’ll feel right at home. Pro tip: try the pina colada panna cotta. With succulent bites and succulents everywhere (yep, still obsessed) Seven South is a gorgeous café with Insta potential everywhere you look. Complete with gorgeous French toast, refreshing smoothies and smooth coffee, you’ll thank us later. Cute name, cuter interior – Deedot has it all. 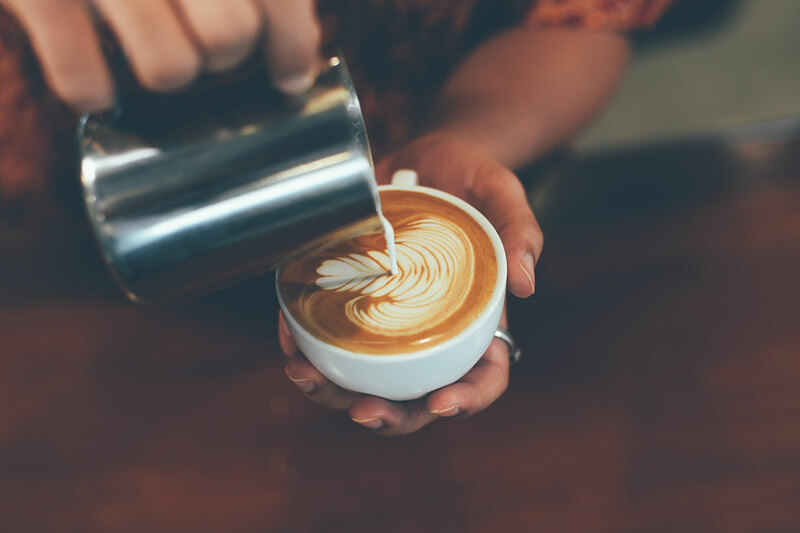 They make high-quality coffee look easy, and with a menu full of mouth-watering bites like taro brulee, have fun managing your food coma later. This contemporary café is perfect for a morning pick-me-up. Sip a cappuccino as you mull over the menu, and your furry friends are more than welcome too. Campos coffee lovers, this is your home now. The largest retail space for Campos in Australia, this stunning 500m long café serves breakfast, lunch, and their much-loved coffee until 5pm. 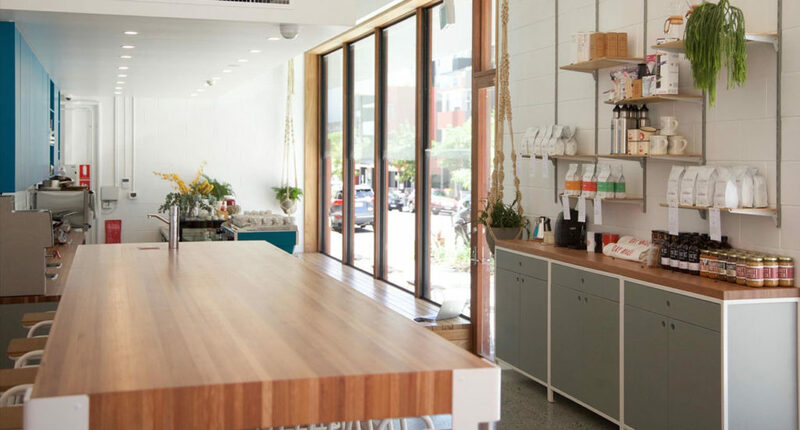 Specialty coffee is the name, espresso bar is the game – and Fox Coffee plays it well. The friendly staff will guide you through your experience and teach you the ways of the brew, plus, it doesn’t hurt to pick up a choc brownie on the way. Within the brick walls of Artie & Mai, you’ll find delectable eats with incredible Seven Miles coffee to match. We’re talking all day breakfast, with options like brunch burgers, pumpkin bruschetta and fresh toasted coffee kahlua waffles. Can’t tell a cappuccino from a latte? Don’t be ashamed, Wolff is here to help with approachable coffee for everyone in the renovated warehouse space. Looking to become a roaster yourself? They offer all the equipment you need to get started. Sorry, Starbucks, we’re seeing someone else. My Mistress serves Insta-worthy waffles, burgers, eggs and wraps that almost look too good to eat, but that won’t stop us! Pair your brekky with a latte and your day is made. Tiller she’s dreaming. Serving quality coffee, The Tiller is dedicated to educating keen beans when it comes to knowing the process from farm to cup, and their brews speak for themselves. A classic hole in the wall café, Bunker is a must when it comes to unbeatable coffee and service. As well as excellent brews, enjoy refreshing teas or bottled iced chocs and coffees to take home. Bring your pup along for breakfast at Paddington’s most pet-friendly establishment. There’s muffin bad to say about this café, serving filling bites with smooth brews to match. Well known and much loved, Corner Store Café doesn’t skimp on quality. Hot espresso, cold drips, fresh juice, and don’t forget the feasts – can you say no to sweet potato waffles and apple and cinnamon porridge? We didn’t think so. “Phenomenal”, “sensational”, “best coffee”; don’t just take it from us, take it from their reviews – Josie North has it going on. Creative eats, lots of plants (plant-mum goals!) and specialty coffee is all part of the experience. If the words “all-day brunch” get you flustered, wait until you see Scout’s menu. Brioche French toast with cinnamon baked apple, spicy BBQ Boston baked beans with bacon – need we go on? Their specialty coffee by Supreme is the cherry on top. Don’t ignore the signs. The big, green, grassy signs. Goodness Gracious will have you saying its name when you’re sipping a flat white (or espresso free golden latte) and indulging in a plate of coconut citrus chia. With exceptional food and coffee, Microlot is macro on flavour. Enjoy the mortgage thieving avo toast with eggs while you’re downing your second latte – and they’re open every public holiday! “Don’t even speak to me before I’ve had my coffee”, said the Grumpy Monkey. Curb your morning blues at this lovely little café, with gorgeous treats, excellent coffee and local spirit. Donut even get us started on Dovetail on Overend. We could talk for hours about their fresh, house-baked donuts and brandied fruit loaf, but their coffee is something to behold. Offering handpicked, perfectly roasted coffee to the public, Dramanti skips the drama and just serves straight-up flavour. If you love what you taste, take home a few packs of beans for yourself! 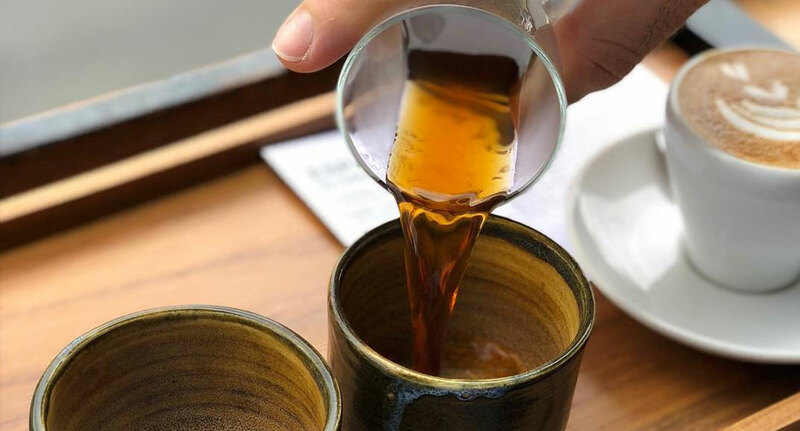 With two decades of hospitality under their belt, and everything to show for it, Bear Bones Espresso uses only the best beans in their specialty coffee. Enjoy a brew or two before heading to work, or stop in for a midday refresher. Greek eats are what it’s all about at Melidrop. Also serving Bear Bones coffee, you can’t go past their semi-freddo – a long black topped with milk foam – for an unusual caffeinated delight. Coffee is an art form, and Coffee Anthology is Picasso, painting with rotating beans from Australia’s best roasteries. 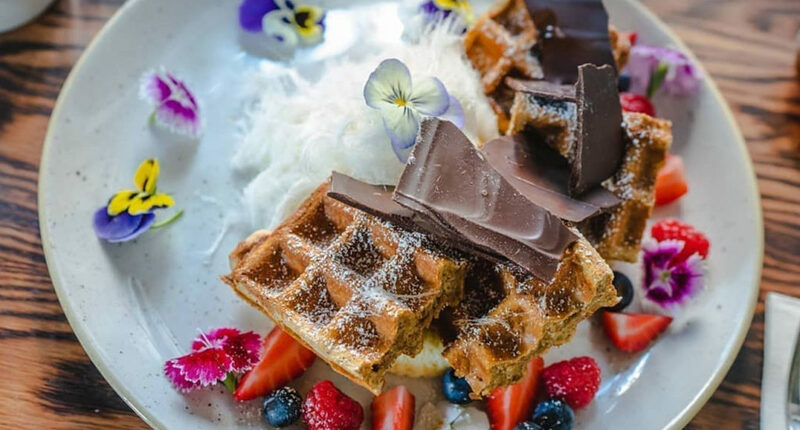 Collect yourself in this relaxed café with a bowl of chia, or satisfy your sweet tooth with waffles. Brunch is served. Botero House is the inner-city café using their own roasts to create decadent coffee, and with a menu of Botero benedict, roasted pumpkin quinoa and espresso panna cotta, there’s no excuse to skip breakfast. Treat yourself to some seriously good brews. - The gourmand with the plan - to drink as much coffee as possible. Life’s a beach, but we’re making it ours - one café at a time.